In fact, what I'm about to show you will multiply your success with Feminine Enchantment, making your interactions with men seem effortless and enjoyable. 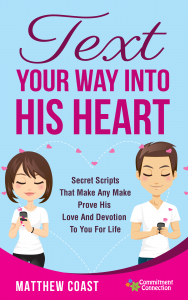 Text Your Way Into His Heart is a cheat sheet to knowing exactly what you should text a guy in order to capture his heart, created by my friend and fellow relationship expert, Matthew Coast. 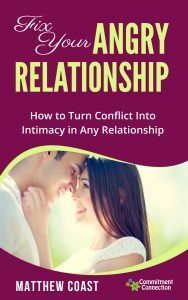 Combined with The Love Frames Toolkit, you'll be absolutely irresistible to the man you want to attract. Yes Helena, I definitely want to take advantage of this one time only massive discount offer. Please add the above course to my order for a one time only payment of just $37. Hey Buddy!, I found this information for you: "Feminine Enchantment – Upgrade – Cross – 2". Here is the website link: https://commitmentconnection.com/feminine-enchantment-upgrade-cross-2/. Thank you.